The Wensleydale Creamery, located in the market town of Hawes in Wensleydale, in the heart of the Yorkshire Dales, is to feature on BBC TWO programme ‘Made in Great Britain’ on Friday, 7th December at 9pm. 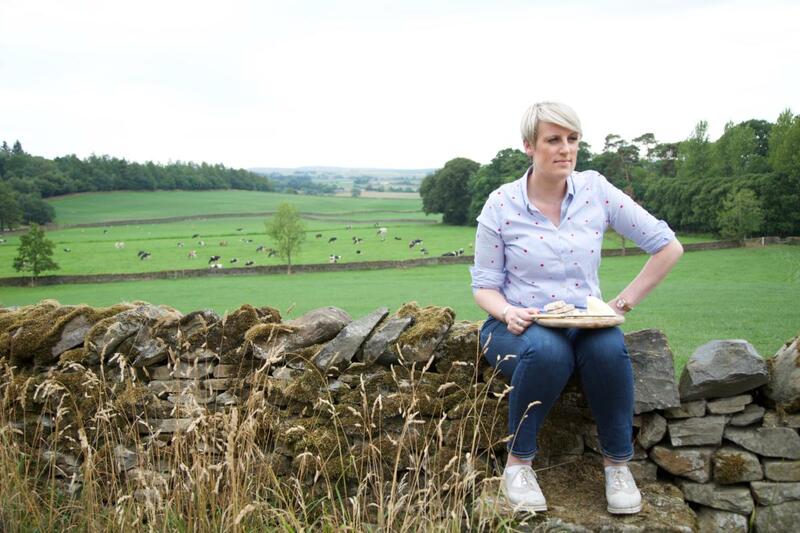 Hosted by Steph McGovern, the episode arrives in Wensleydale, home of the much-loved Yorkshire Wensleydale cheese, to discover its historic story. The ‘makers’ are guided through the ages, to discover how Wensleydale cheese-making has changed since the monastic times, through to modern day cheese-making at the Wensleydale Creamery. As the ‘makers’ have a go at bringing long-lost cheese-making practices to life through the programme they go behind the scenes at the Wensleydale Creamery and they are surprised to find that modern cheese-making isn’t just done by machine, with sole reliance on technology. Yorkshire Wensleydale cheese is still handcrafted using skills that have been passed down the generations, using fresh milk from over 40 local farms. The popular Yorkshire Wensleydale & Cranberries was originated by the Wensleydale Creamery over 20 years ago. There continues to be much innovation and recipe development, and the makers get to experiment with creating their own blend of cheese. “We are passionate and proud of our Yorkshire heritage and provenance and were delighted to welcome the BBC TWO film crew to showcase and celebrate our rich cheese-making history of food production and farming in the region, which has shaped the Yorkshire Dales that we live & and work in today. “We were thrilled to host Steph McGovern and the makers at the Creamery, and I hope they enjoyed their visit and learnt something new about our history, handcrafted cheeses and our beautiful area”. My Great Aunt Annie born latter half of the 19th century in Westmorland used to recite a little rhyme when she served up apple pie with a slice of cheese. The rhyme went ‘apple pie without cheese is like a kiss without a squeeze’ the cheese she was talking about and of course served was Wensleydale. I’m nearly 70 and have never forgotten her little rhyme because it always made me laugh.